Mark Reusser, a Waterloo County farmer, was re-elected for a third-term as Vice President of the the Ontario Federation of Agriculture (OFA) at the 2018 Annual General Meeting. Reusser previously held the position of fourth executive member on the OFA Board of Directors from 2014-2016. He serves as the Zone 9 Director representing the counties of Dufferin, Wellington and Waterloo. Reusser operates a broiler chicken and cash crop farm near New Dundee. As a current Vice-President for the Waterloo County Federation of Agriculture, Reusser actively works on local regional committees to better understand the issues facing farmers in the region. 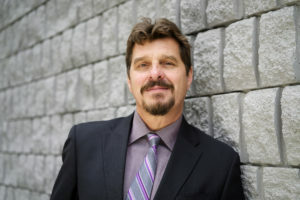 Reusser is a former member of the Waterloo Region Nutrient Management Committee, Waterloo Region Biosolids Committee, Waterloo Region Smart Growth Strategy and Rapid Transit Committee. In his spare time, Reusser enjoys gardening and growing heritage vegetables.